Happy to 3D print you something to mount them with, keeping it slimline/sleek etc. 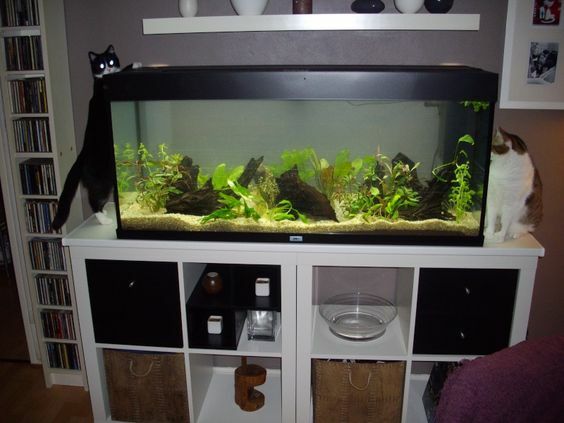 But you have to make it another blackwater tank hahaha. Thanks for the offer, could be an option but I am leaning towards the panel option. will the IKEA bookshelf be strong enough to hold a 5ft? i reckon you will have at least 500kg of weight to hold up. In regards to filter placement, i noticed you are open to two cannister filters? if so, from my research i found best setup would be with one filter at each end but with the inlet and outlet hoses for each filter at opposite ends. The theory is that it will create the best water flow around the tank. if you go for two filters will you be placing inlet/outlets at the back of the tank or the sides? 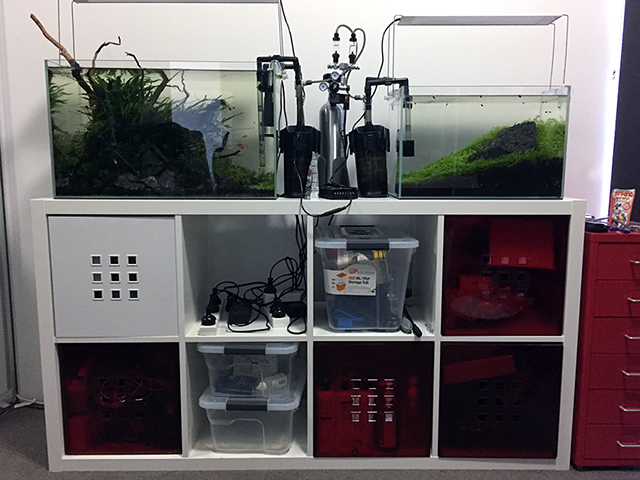 Will probably just run one filter on the right hand side as I have a bit of space I could add storage next to the cube stand to hold the filter and co2 gear, will chuck a wavermaker or something on the left side. Last edited by doylecolmdoyle; 31-01-18 at 01:53 PM. Would a having it in a circle be good? like left side of tank outlet facing front of tank and right side outlet facing left side of tank, with an inlet in each corner? My new tank design I was thinking of having both inlets dead center and outlets in the same method left facing forward right facing left. I have two cannisters by the way. I dont believe it would be safe to use the kalax bookshelves. Ive owned one, didnt put weight on it but I just wouldnt trust the quality let alone strength. Not sure about running two canisters, never used two, I have aways read you want circular flow so by having both the outlet and inline at one end you create the circular flow. RE the Kallax bookshelf's, I have faith! currently my 45p and 60p are on one 4x2 cube shelf and the sides are not even supporting the top and its fine... but yes a better stand would be nice. 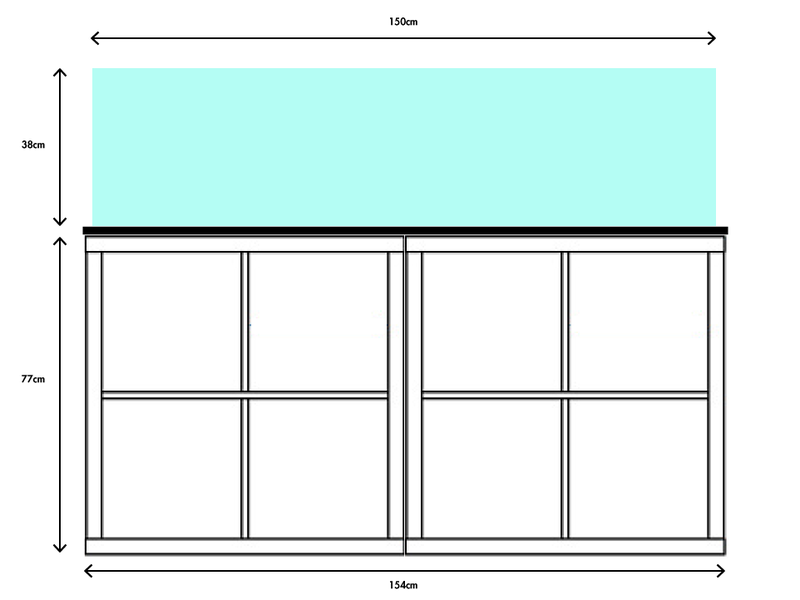 Thats a lot less weight though haha, 5ft would be MUCH heavier.You could always reinforce the two shelves though. I'd put 4 square timber frames in it for additional support left, middle left, middle right, right. Just cut out parts of the shelves to let the frames be flush or just in from the edge? Yeah, according to a tank weight calculator the full tank will weigh 250kgs, I think I will be fine, while it is 5ft long its shallow and narrow, not your regular 5ft size, i will brace the bookshelf for some extra peace of mind. If I come across a better (but still cheap) option for the stand I will look into it! 250kg is a lot less, but still heavy. about the same weight as my 4fter. Spose my stand on the 4fter is only a mdf stand. this is the best way to set up a single filter, as long as it is powerful enough to move the amount of water required. Hanging one filter inlet/outlet on the side of the tank will create the best circular flow possible. from my research, If you are setting up two cannister filters and placing them at the back of the tank (hanging of the side isnt possible) it is best to setup as i explained before with a canister on each end with the inlet/outlet hoses from one filter on each end of the tank. I have a FX4 outlet in the left corner of the tank with its nozzle pointing towards the front glass at a 45 degree angle (one nozzle facing up and the other pointing down) and its inlet in the right corner. An Eheim 2228 outlet on the right side, with a shortened spray bar pushing the water across the back of the tank towards its inlet on the left side. Once set up its good to put a couple of flakes or light plant matter in the tank and watch how it flows around the tank, from here small adjustments of the outlets will fine tune your flow. Those Kallax numbers don't look strong enough for a big tank I reckon. I'd be concerned about the middle especially and also the corners where the joins don't look to be the strongest possible. ie the whole thing looks like it will get into trouble. That's a much better design I agree. That could do the job!! You might want to consider reinforcing for lateral movements also. That stand is a good height too! Cheers, yes a smaller filter would probably suffice, to be honest I dont think I can spend $699.00 on a filter (techden price of the fx6), I need to do some research and keep my eye out for any sales, basically something that can create huge flow would be nice to try create a "river" scape, I really like the built in WC valve the fx6 has.